by each country’s recipient. 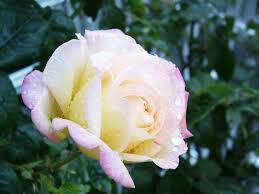 In France the rose was known as ‘Madame A. Meilland’ after Meilland’s mother. Whilst in Italy it was called ‘Goia’ (Joy) and in Germany it was named ‘Glory Dei’ (glory to God). The USA simply named it ‘Peace’, a name it became known as when Peace was finally declared. Its name became official on the same day that Berlin fell and the war in Europe ceased. After war had ended, each member of the United Nations was given a Peace rose with a note saying “We hope the ‘Peace’ Rose will influence men’s thoughts for everlasting world peace”. 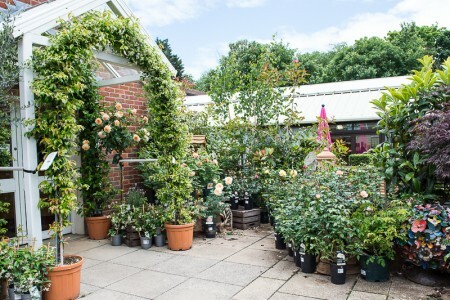 Roses offer a glorious palate of colour during the summer months, climbing up a fence or trellis frame, nestled in clusters tucked neatly into a formal garden border or in a beautiful stoneware or terracotta pot on a patio or decking area. To ensure your plants thrive it is very important to ensure the ground is well-drained and fertile with at least six hours of sun light each day. We have some very ornate wooden and metal finished, trellis frames and arches in our Garden Care Section that would make the perfect addition to your outdoor living space and rose garden creation. We have a wonderful selection of rose varieties, ranging from ground cover roses, climbing and rambling roses to New English, Hybrid tea, and Floribunda roses. A rose can also make a thoughtful and everlasting gift for a loved one and is a popular choice as a wedding present. The idea of a new rose making it’s home in your outdoor space, harvesting buds each year as it is nurtured and tended to, becoming stronger and more mature can be seen as a mirror journey of a newly wed couple as they move their lives forward to bloom and grow. Within our occasions collection you can choose roses to suit any event, from birthdays and anniversaries right through to memorials. 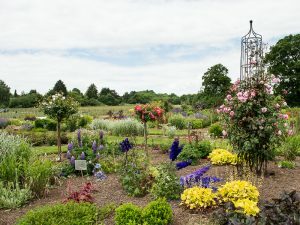 If you need some more inspiration why not visit our Celebration Garden which is alive with the colour and scent of summer just now or sit awhile and enjoy the glorious views! We also have a very informative information leaflet on roses, detailing everything you need to know on varieties, a planting guide and colour choices. This leaflet is available to download from our website, or can be found as a printout in our store. Please ask one of our assistants for a copy.